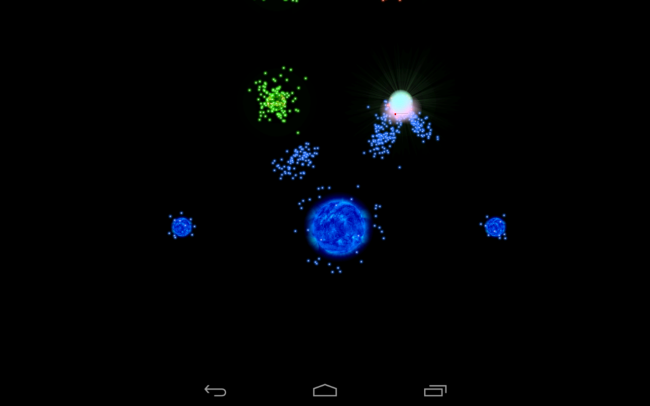 A new game by the name of Auralux just arrived on Google Play. It is a real-time strategy based game, where you command stars that produce little warrior lights that you use to capture other stars and kill enemies. Depending on your stars strength (some are up-gradable and some are not) it will produce a certain amount of soldiers per second. You then use those soldiers to go capture grey stars or destroy enemy stars. To beat the level, you must capture all of the stars that appear in that system. The gameplay is insanely slow-paced, but there is an add-on you can buy that unlocks a faster game mode. Levels that were once 20-30 minutes long are brought down to a more manageable 5-10 minutes. But be careful, the faster gameplay allows your enemies to also react quicker to your advances and they are not easy to beat. All in all, I think it’s a great game that brings together fantastic artwork, intuitive controls, and the fun that is real-time strategy gaming. Go pick it up for free and let us know what you think.